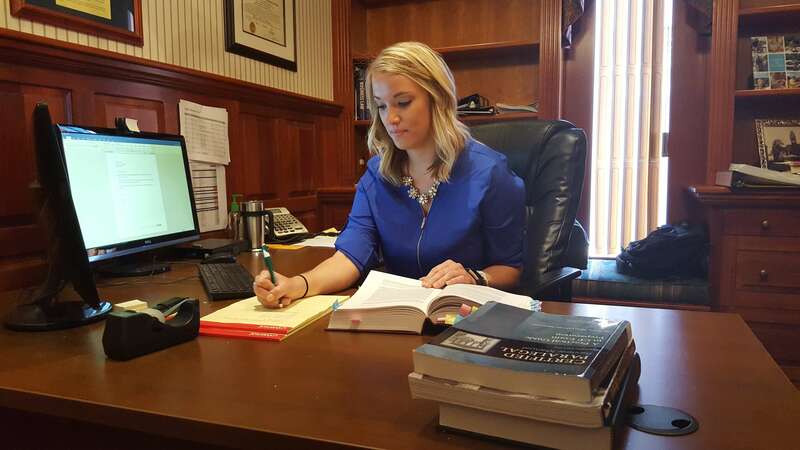 Jenny Verbonitz, who graduated from West Virginia Junior College in 2017, has always been interested in the business field. In fact, she started her business career managing the Sabraton Station. It is her love of business that lead Jenny to expanding her education. She first attended Pierpont in 2013, which she found to be a bigger school that made her feel like a number… not a name. This style of education wasn’t for her, so she withdrew and put her education on hold. That is, until Jenny was accepted into WVJC’s Business Administration Program in 2016 after she came in for an interview with our campus representative, Matt Hahn. She said she had no intention of going to school, but Matt was really fun and she liked everything she heard, so she decided to enroll. She was accepted into our Business Administration Program and then had the opportunity to convert into a dual degree taking courses in the Legal Office Assistant Program as well. It was through her hard work and dedication that Jenny graduated from both programs, earning associate degrees in Business Administration and Legal Office Assisting. Jenny enjoyed her experiences at WVJC and the hours were flexible enough to fit around her schedule. She especially loved having Fridays off. During her time attending WVJC, Jenny had many different business classes and instructors, but a few instructors stuck out to her. She loved getting to be in class with Bryce Adkins. He took their legal class on tours to the WVU law school, which allowed her to see the legal process and put things into perspective for her. “It was really neat to see that kind of environment”, she says. Another teacher who stuck out for Jenny was Rick Frank, who taught her business classes. Both instructors communicated with the students on a personal level. After graduation, Jenny was hired at an insurance agency and is now prepping to take her accident and health licensure exam. She now gets to apply the skills she learned in her business and legal classes by working in sales with home and auto insurance. The experience Jenny received with the LexisNexis certification training during her Legal Office Assisting program allows her to perform her job duties at a more proficient level. Her Business Administration training prepared her with the necessary skills to effectively manage her new business. Jenny can see herself working her way up at her new job and the first step is to become a licensed agent. She is still learning the ropes and has a long way to go but is super excited for her opportunity and to continue to advance in her career. Because of the positive experiences Jenny has had with WVJC, she has recommended WVJC to several people and always refers family and friends. Next PostNext Meet WVJC Financial Aid Representative, Paula Sullivan!